ALS Research Forum | San Francisco: Is Tau Reduction a Good Thing? San Francisco: Is Tau Reduction a Good Thing? See also See also Part 1, Part 2. 16 May 2011. Though amyloid-β and tau stand as the pathological hallmarks of Alzheimer’s disease, only recently have scientists gained insight into how the two could be linked mechanistically. Research from several labs suggests that tau acts downstream of Aβ. What’s more, recent studies have shown that animals lacking tau are impervious to the synaptic and cognitive problems normally brought on by Aβ overproduction, raising the notion of tau reduction as a potential therapeutic avenue. At the Tau and Tauopathies: Pathogenic Mechanisms workshop held 28-30 March 2011 at the Gladstone Institute for Neurological Disease in San Francisco (see Part 1), several speakers presented new data in this vein. Some of it complicates the picture, suggesting that tau reduction may not always be beneficial. Early hints of tau’s essential role in Aβ’s dirty work came from cell culture studies showing that tau-depleted hippocampal neurons do not wither despite the presence of Aβ (Rapoport et al., 2002). Erik Roberson, while a postdoc in Lennart Mucke’s lab at the Gladstone Institute, confirmed those findings in vivo by showing that halving tau levels in APP-overexpressing J20 mice kept them from dying prematurely and helped them resist the Aβ-induced cognitive impairment (ARF related news story on Roberson et al., 2007). In addition, these scientists and others report that reducing tau protects APP mice against axonal transport defects (ARF related news story on Vossel et al., 2010) relieves their spontaneous epileptiform activity (ARF related news story on Roberson et al., 2011) and lessens Aβ-induced impairment of hippocampal long-term potentiation (Shipton et al., 2011). The tyrosine kinase Fyn may contribute to these effects, as a recent study finds that tau targets Fyn to post-synaptic N-methyl-D-aspartic acid (NMDA) receptors (ARF related news story onIttner et al., 2010; see also review by Ittner and Gotz, 2011). 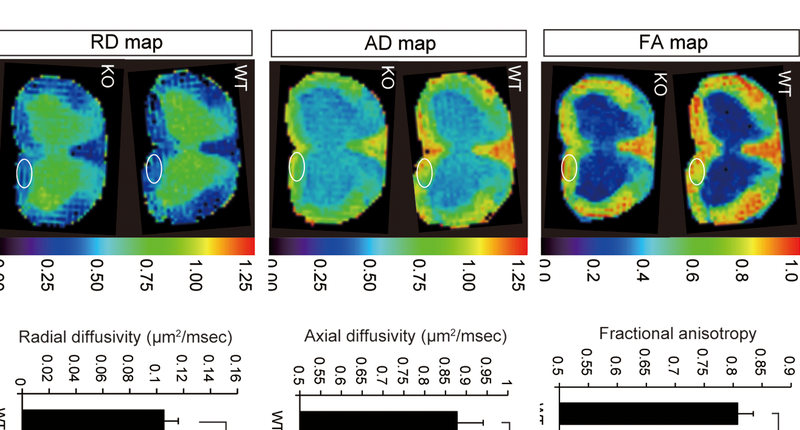 At the meeting, Roberson, who now heads a lab at the University of Alabama at Birmingham, presented new data suggesting that the benefits of tau reduction may extend to APP mice that express a Fyn transgene but have low Aβ levels. Despite their low Aβ production, the APP/Fyn mice develop cognitive impairment, and almost half die within six months. However, putting these mice onto a tau knockout background rescued the mortality phenotype, Roberson said. More evidence that tau reduction could be beneficial apart from Aβ came from Yadong Huang of the Gladstone Institute. When his group analyzed apolipoprotein E knock-in mice expressing either the human E3 or E4 isoform, the scientists found that E4 knock-in mice selectively lost GABAergic interneurons to an extent that correlated with the animals’ learning and memory deficits (Andrews-Zwilling et al., 2010). The GABAergic interneurons that did remain in the E4 mice had excessive tau phosphorylation, and the scientists were able to enhance their survival and prevent cognitive impairment by knocking down endogenous tau with microRNAs. Tau also appears necessary for a pyroglutamate form of Aβ (pyroGluAβ) to inflict its harm on neurons. This is according to research by George Bloom, University of Virginia, Charlottesville, previously presented at the 2010 Society for Neuroscience meeting in San Diego, California. PyroGluAβ is a highly stable, neurotoxic species that arises when an enzyme joins the ends of a glutamate residue exposed by removal of Aβ42’s first two N-terminal amino acids. Bloom’s team, including former graduate student Justin Nussbaum and Probiodrug AG scientists led by Hans-Ulrich Demuth, showed that oligomers made by mixing Aβ42 with a touch of pyroGluAβ killed primary cortical neurons in culture more potently than either peptide by itself. However, these oligomers hardly posed a threat to cultured neurons from tau knockout mice, suggesting tau is needed for pyroGluAβ aggregates to become menacing (see ARF conference story). Maybe amyloid is the trigger that gets pathology started, Bloom said in San Francisco. But once that trigger is pulled, tau must be present for Aβ to do its damage. Lest you think removing tau improves everything, data from Hana Dawson and coworkers at Duke University in Durham, North Carolina, gives reason for pause. When taken into culture, primary hippocampal neurons from tau-deficient mice mature with a delay (Dawson et al., 2001), and hippocampal neurons from tau-/- Map1b-/- mice do not extend their axons or migrate properly (Takei et al., 2000). Furthermore, crossing Tg2576 APP mice onto a tau knockout background gave rise to dystrophic neurites and axon degeneration—effects rescued by mating the APP strain to human tau transgenic mice. Traumatic brain injury (TBI) hastened the neuritic and axonal impairments, and the effects were intensified in APP mice on a tau knockout, relative to tau heterozygote background (Dawson et al., 2010) (see image below). This pertains to the emerging field of chronic traumatic encephalopathy, a tauopathy in concussed athletes and military veterans with TBI, Dawson noted in an e-mail to ARF (see also ARF Live Discussion and ARF related news story on TBI). Dawson also reported preliminary data showing that loss of tau worsens motor defects and brings on disease earlier in an ALS mouse model that overexpresses mutant SOD1 (G93A). To complicate matters, an earlier study found that tau deficiency did not matter much, good or bad, for the mouse central nervous system (Harada et al., 1994). Removing tau can be a double-edged sword, Dawson said. In discussion, scientists noted that the impact of tau reduction remains to be fully established. Some wondered whether strain differences may underlie the discrepancies between the various studies. Dawson closed by noting that tau knockout mice probably have compensatory mechanisms. How much worse would knockout of tau be in an adult? she asked. This, as opposed to gene deficiency from birth, may more closely resemble a tau-reducing therapy started in people already afflicted with tauopathies. Mucke hopes to address this issue using a new mouse model with regulatable neuronal expression of anti-tau microRNA that his group generated. Feeding the mice doxycycline keeps a lid on the microRNA, allowing endogenous tau to be expressed, but withdrawing doxycycline for just one week made an appreciable dent in tau expression. So far, we see no obvious neurological deficits or other phenotypic changes, Mucke reported. Detailed analyses of these mice are in progress. The data will be compared to those to come from the Roberson lab, which has generated conditional tau knockout mice using a Cre/Lox approach. In the meantime, Mucke and colleagues are screening RNA interference and drug libraries to identify tau-reducing reagents. In a rare mention of amyloid cascade hypothesis at this tau meeting, Simon Lovestone of King’s College London, U.K., said we have paid too much attention to amyloid’ and not enough to cascade.’ To address this shortcoming, Lovestone discussed how Dkk1—a Wnt signaling inhibitor that is increased in AD and in mouse models of neurodegenerative disease (Caricasole et al., 2004; Rosi et al., 2010)—may fit into this cascade. Lovestone and colleagues used whole-gene expression arrays to identify genes responsive to Dkk1, and to Aβ. The shared genes were induced in amyloidogenic transgenic mice (Tg2576) but not in a tauopathy model (hTau), Lovestone reported. This trend also held in their analyses of postmortem human brain tissue, supporting the idea that the shared gene set sits neatly between amyloid and tau, Lovestone said.—Esther Landhuis. This is Part 3 of a four-part series. See also See also Part 1, Part 2.